Rihanna is a figure in today’s world who seems to stand for the power of women everywhere through her music. She has been staying busy, lately especially, since she has her new beauty line (which we’re still thrilled about! ), an impending movie role, a new studio album, and on top of that, she is the creative director for Puma. We are thrilled, however, to be adding yet another rung to this celebrity’s already successful career. Rihanna will be opening up her own beauty and style agency named Fr8me. The 27-year-old singer has founded her agency alongside managing partner Benoit Demouy, and has landed in L.A. According to the Hollywood Reporter, they will employ hairstylists, makeup artists, manicurists, and stylists with the purpose of helping artists book events like red-carpet appearances, editorials, ad campaigns, or commercials. “Hair, makeup, and styling play an important role in creativity,’ Rihanna said in an interview with THR. “I am very involved with that part of my process, so this agency was an organic thing for me to do.’ It would be very difficult for celebrities to get very far without a professional team of stylists behind them, and Rihanna recognizes the importance of making that lasting impression when trying to be cast in a particular event. We can see the skills of those on board just by looking at the singer herself, so anyone who goes to Rihanna’s beauty and styling agency will be in great hands. But there is always room for more talent in the styling industry; fresh minds could be groundbreaking in the ever-changing fashion industry, so maybe we’ll see some fresh new styles coming from their direction in the near future. Rihanna is no stranger to the idea of finding hidden talents in the recesses of the Internet, so we’ll be surprised if we don’t see an increase in the number of new faces popping up from L.A. once this agency is rolling. However, with her deeply rooted connections in the industry already, Rihanna likely has access to top celebrities in her close and personal network, so we’re sure to see some great new looks on well-loved stars as well. To go with the singer’s search for hidden online gems, the agency is looking at a strategy heavily involved with social media. Demouy let the public in on some of the thought process behind the business plan. So at this point, there is still a lot up in the air when it comes to Fr8me. 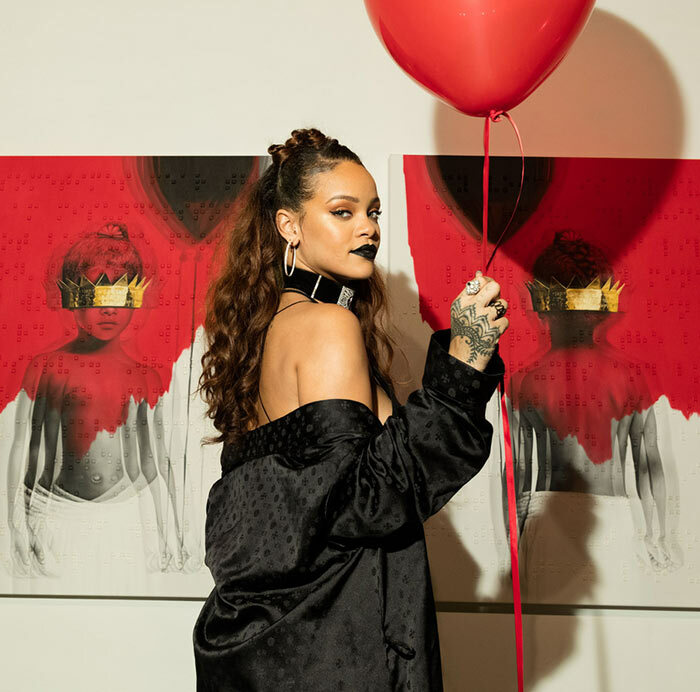 We’ll be keeping our eyes peeled for any new information released on Rihanna’s new chapter, but chances are things will continue looking positive for the business and the singer herself.